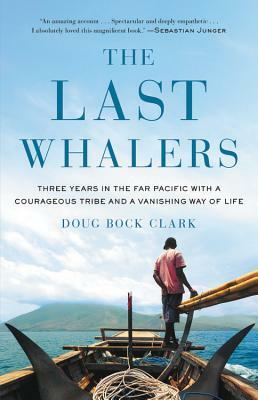 In this "immersive, densely reported, and altogether remarkable first book [with] the texture and color of a first-rate novel" (New York Times), journalist Doug Bock Clark tells the epic story of the world's last subsistence whalers and the threats posed to a tribe on the brink. "An amazing account . . . Spectacular and deeply empathetic." --Sebastian Junger, The Perfect Storm. "A monumental achievement." --Mitchell Zuckoff, 13 Hours. "A true work of art . . . Lyrically written and richly observed." --Michael Finkel, The Stranger in the Woods. "An extraordinary feat of reportage and illumination." --Leslie Jamison, The Empathy Exams. "From the very first lines, I was riveted." --Robert Moor, On Trails. "Intimate and moving." --Francisco Cantú, The Line Becomes a River. "Remarkable, gorgeously written." --Bronwen Dickey, Pit Bull. On a volcanic island in the Savu Sea so remote that other Indonesians call it "The Land Left Behind" live the Lamalerans: a tribe of 1,500 hunter-gatherers who are the world's last subsistence whalers. They have survived for half a millennium by hunting whales with bamboo harpoons and handmade wooden boats powered by sails of woven palm fronds. But now, under assault from the rapacious forces of the modern era and a global economy, their way of life teeters on the brink of collapse. Doug Bock Clark is a writer whose articles have appeared or are forthcoming in the New York Times Magazine, The Atlantic, National Geographic, GQ, Wired, Rolling Stone, The New Republic, and elsewhere. He won the 2017 Reporting Award, was a finalist for the 2016 Mirror Award, and has been awarded two Fulbright Fellowships, a grant from the Pulitzer Center on Crisis Reporting, and an 11th Hour Food and Farming Fellowship. Clark has been interviewed about his work on CNN, BBC, NPR, and ABC's 20/20. He is a Visiting Scholar at New York University's Arthur L. Carter Journalism Institute.